I am wondering about the point of considering penetration on the composite test beyond 13 or 14 inches? If I could get everything I wanted on a bad shot, it would end after about 14 inches. Rib to rib isn’t a question, but when taking a shoulder or leg bone along the way, what is the point of all that penetration? 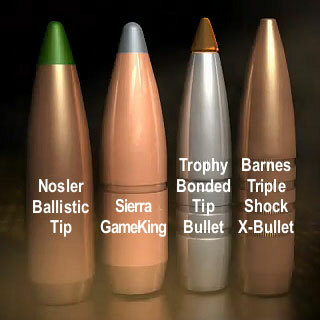 Seems like the scale is set way past elk and these are .30-06 tests. Solids for Africa are one thing, but Elk at long distance doesn’t need 24 inch penetration after taking a major bone does it? I got a kick out of the way federal took credit for bullets made by other manufactures. Ive shot elk with the 165 grain 30 caliber Nosler ballistic tip through the shoulder in .308 with good result Dino. Guy: I don’t think Federal were taking credit for bullets made by other companies as the guys in the ‘advert’ used the brand names. I thought it was a great presentation.